MUST-SEE VIDEO: Teens Beat Man Outside of Restaurant on Chicago's Gold Coast - Until Victim Pulls Out Gun, Watch Their Reaction! 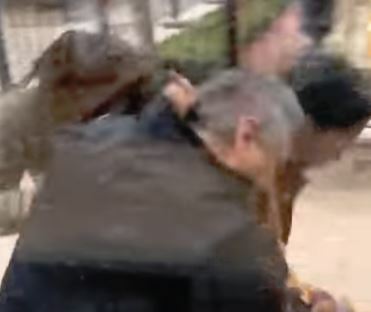 Video emerged this week of an armed man being attacked by two teens on Chicago’s Gold Coast. The teens were pummeling the man outside of a restaurant window. That’s when the man pulled a gun to save his life. The two young thugs immediately scampered. The reaction from inside the restaurant was interesting. The people only got excited when the man drew his gun. CWB Chicago has more on the video. 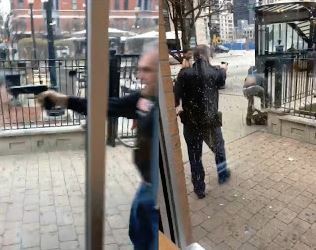 From the video: An armed man pulls out his handgun to ward off two younger men who appear to attack him near Chicago’s Magnificent Mile in April 2019.